PLAYER RATINGS: Who was the star man for Sheffield Wednesday in their 1-1 draw with Barnsley? 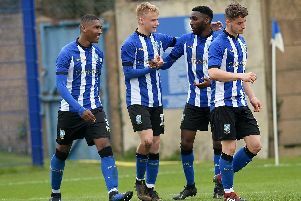 Sheffield Wednesday fought out a 1-1 draw with South Yorkshire rivals Barnsley at Oakwell in a match that had few stand-out performers. Chris Holt gives his Owls player ratings after they gained another point.